CAD (Computer Aided Design) is the name given to a range of computer-based tools that assist architects and other professionals in building design, drafting, or maintenance. As CAD designers, we work on a lot of imagery and simulations for clients, which they can use to store a significant amount of technical data. 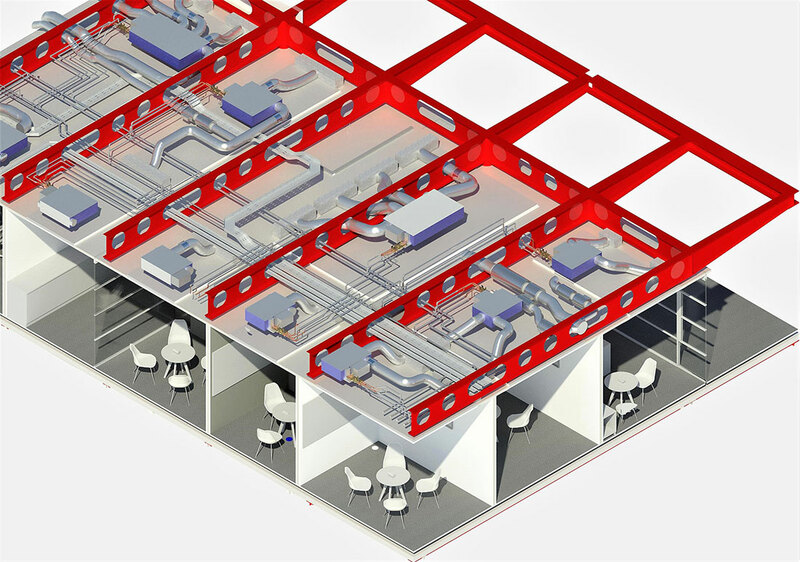 CAD is a powerful tool which can assist facility managers in a lot of their everyday tasks, such as layout planning, occupation planning and scenario modelling, as well as tracking cable control or maintenance issues and even the building of new facilities. Before CAD was introduced in the mid-1980s, drafting was the most commonly used tool for designers, with offices being full of drafting tables and plan storage. Architects, engineers and facility managers now often call on the help of specialist CAD designers, such as us, to help them to produce complex drawings. Facilities related CAD systems are also now used to track and maintain building and property information, floor plans, employee and occupancy data, as well as space characteristics and usage. They can also be used to keep track of workplace assets such as equipment, furniture, cabling, LAN and telecommunications records. There are also high-quality specialist CAD packages available which can be integrated with other systems as part of a broader Computer Aided Facilities Management (CAFM) system. CAFM has become more and more popular as operating costs for facilities can account for over 30% of a company’s annual operating costs, and so managing your assets as efficiently as possible is critical. Such systems as these, therefore, provide facilities managers with a wide range of tools to track and report on all the information relating to facilities management, which will increase the effectiveness of the whole operation. By integrating CAD and other systems with asset registers, finance schedules, HR databases, and maintenance schedules, the facilities manager will be able to produce much better-quality management information throughout the life of the building. To find out more about the range of BIM and CAD design services that we offer, please get in touch with our friendly and experienced team. Copyright © 2015-2019 The CAD Room Ltd | All Rights Reserved.